A binding emergency mechanism to relocate an initial total of 40,000 asylum seekers from Italy and Greece to other EU member states was backed by civil liberties MEPs on Thursday. An upcoming permanent scheme, on which Parliament will decide jointly with the Council, must be based "on a more substantial contribution to solidarity and responsibility-sharing among member states", MEPs say. "Parliament's civil liberties committee has shown the Council today what's what. While member states are muddling through and cannot agree on how to distribute 40,000 refugees, our committee has supported a binding distribution key by a large majority. There is no doubt that in the domain of migration policy, Europe obtains results only if all countries work together. We are also calling for a permanent distribution mechanism which must go substantially beyond the current proposals," said the civil liberties committee rapporteur, Ska Keller (Greens/EFA, DE). "It is particularly important that refugees are not sent as pieces of cargo through the EU, but that their preferences are taken into account. This is the only way to support the integration of refugees and prevent them from moving to another member state. Respecting the interests of refugees is essential for the success of the distribution key," she added. The legislative resolution was approved by 42 votes to 14. To relieve the significant asylum pressure from Italy and Greece, "but also to act as an important test case with a view to the upcoming legislative proposal on a permanent emergency relocation scheme", MEPs agreed that "an initial total of 40,000 applicants shall be relocated from Italy and Greece" (24,000 from Italy and 16,000 from Greece). "A further increase shall be considered, if necessary, to adapt to rapidly changing refugee flows and trends", they add, making it mandatory for the Commission to evaluate the respective share of persons to be relocated six months after the entry into force of these emergency rules. MEPs also inserted a reference to the Western Balkan route (through the borders of Turkey with Greece and Bulgaria and the land borders of Hungary), noting that it "is now increasingly used also by persons fleeing war and persecution". "While applicants do not have a right to choose the member state of their relocation, their needs, preferences and specific qualification should be taken into account to the extent possible," says the civil liberties committee, since this could facilitate their integration into a particular EU country. MEPs propose that asylum seekers should be given the possibility, before they are relocated, to rank member states in order of preference, basing their preferences on criteria such as family ties, social ties and cultural ties, such as language skills, previous stays, studies and work experience. The member states concerned should be informed of the applicants’ preferences and allowed to indicate their preferences amongst the applicants who have selected them. National liaison officers could facilitate the procedure by interviewing applicants. 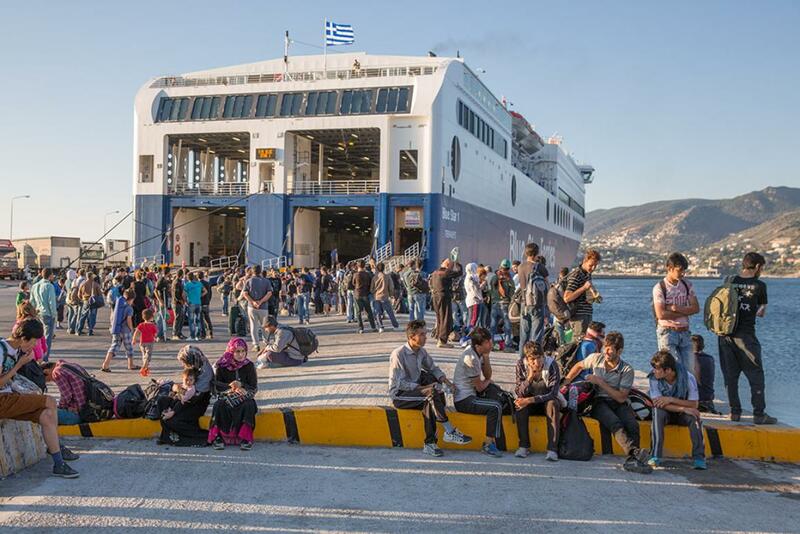 Finally, Italy and Greece, assisted by the European Asylum Support Office (EASO), should take a decision on the relocation of each of the applicants to a specific member state, basing their decisions as far as possible on the preferences stated, MEPs say. Priority should be given to vulnerable applicants, and among those special attention should be given to unaccompanied minors, they add. Asylum seekers should be provided with all necessary information about their destination. If their preferences are not taken into account, the reasons should be explained to them, says the committee. To prevent secondary movements, consent "in principle should be required before relocation". If consent is not given, "the person should in principle not be relocated, but another person should get this opportunity". The proposal for a decision as amended by the committee concerns the "relocation" scheme for transferring asylum seekers from one EU member state to another, i.e. distributing them within the EU. The 20,000 refugees who are outside the EU and who are to be "resettled" in member states are covered by a separate Commission recommendation. MEPs stress that all dimensions of the holistic approach on migration are important and should be advanced in parallel. Parliament is consulted on this temporary emergency relocation mechanism under Article 78(3) of the Treaty. EU home affairs ministers will meet on 20 July to discuss it. Parliament will vote on its position in September. Once it has been adopted by the Council the decision will enter into force on the day after its publication in the EU Official Journal. When a permanent relocation system is proposed – which the Commission has said it will do by the end of the year – Parliament will have codecison powers, meaning that it will decide on the permanent scheme on an equal footing with the Council of the EU (member states).